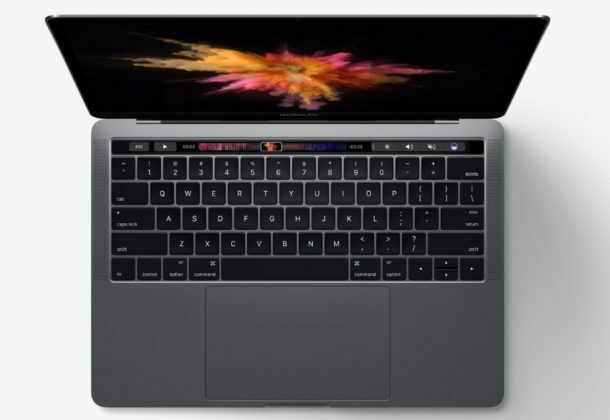 The newest MacBook Pro models default to automatically powering on when the laptops lid is opened, or when the Mac is connected to power. This may be desirable to some users, but not everyone may be pleased with an automatically booting MacBook just when the display lid is lifted open. With a visit to the command line of Mac OS, you can turn off the power on / boot on Lid Open feature on the latest MacBook Pro models with Touch Bar. With AutoBoot turned off, when the MacBook Pro lid is opened, it will no longer boot the computer or turn the computer on simply by opening the lid. Additionally, connecting the power cable will not automatically boot the Mac. Instead, the behavior is like it was on earlier Macs, which can open the lid of a Mac without turning the computer itself on. Hitting return and authenticating will complete the change. You can also reset Mac NVRAM to return the setting to default. If you’re not sure what setting is enabled, using “nvram -p” will print the nvram settings that have been or can be configured. This is a handy tip similar to adjusting whether or not the new MacBook Pro makes a boot sound effect or not. Thanks to a thread on MacRumors forums for the appropriate AutoBoot syntax. I don’t know anyone who bought and kept the new MacBook Pro. I read so much bad reviews for it I just couldn’t buy one myself. Don’t need a gimmick bar. I need power and battery. but how am I supposed to boot the laptop then, as these machines don’t have a power button?? They do have a power button: the touch ID is a physical button. More stupid crap from Apple to make Steve continue to roll over in his grave. Thanks for sharing how to disable boot on open lid MacBook pro. The step by step guide is very useful. I am sure that iOS app developers must have done a great job on this. I have tried the tip as this auto boot annoyed me – but I had so many strange problems after that change. I tried to revert but then other problems started like extreme dark logon screen and I had to press on button several times to get Mac to boot. I finally reset NVRAM with the boot while holding down CMD+Option+P+R. Now it works again. I looked and the NVRAM output after reset. No Autoboot variable exist. Maybe tip to revert should be to delete the variable instead. My conclusion: I can not recommend this tip – but your milage may vary. Just need one of these for the ridiculous new features for the 2018 models. Would love to disable “boot on keyboard press” and “boot on touchpad press”. Just open a new Notepad or terminal – you’ll get a bunch of gibberish no doubt. Exit w/o saving when done cleaning.